Monday, March 25, 2019 - 7:00 p.m.
Ten-minute presentations by Misericordia University faculty on influential women in their fields. Facilitated by Dr. Amanda Caleb. 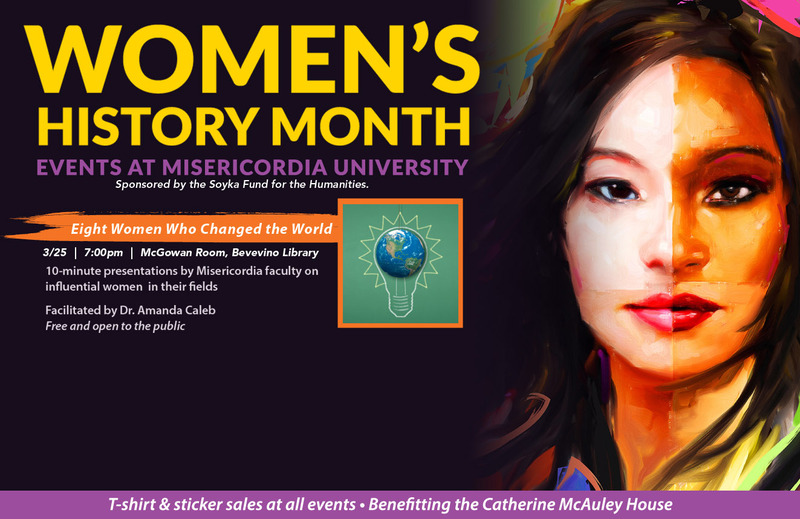 An event in coordination with Misericordia University's Women in History Month events.